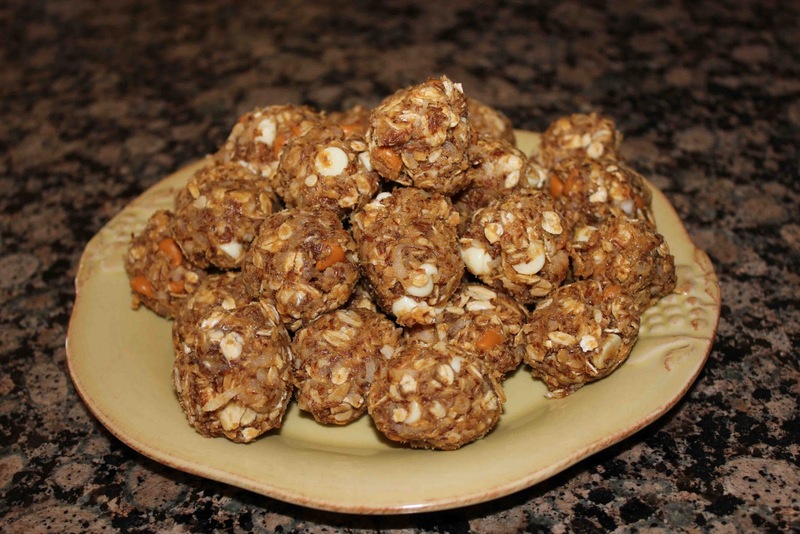 I love Pinterest, and recently discovered a recipe for these no-bake energy bites that I just had to try! 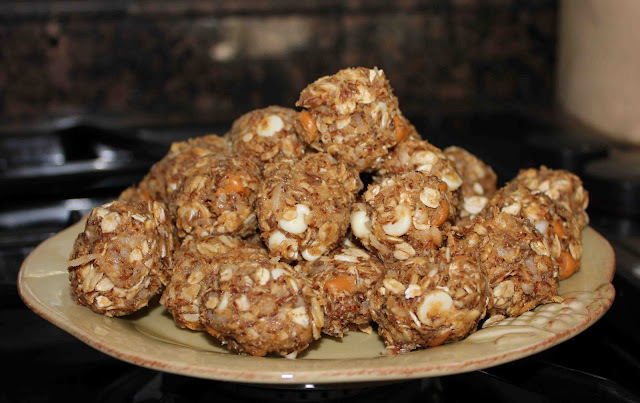 Loaded with protein (from the peanut butter), Omega-3 fatty acids (from the ground flaxseed), whole grains (from the oats), and energy & immunity boosting benefits (from honey), these no-bake energy bites are the perfect “pick-me-up” afternoon snack! I am a huge fan of granola bars as snacks, but with all the processed ingredients, preservatives, and sugar, they probably aren’t as healthy as they seem! They good thing about these energy bites is that they are all-natural, contain ingredients you should have in your pantry, and can be customized to your liking. If you want to leave out the chocolate chips, substitute dried fruit instead. If you like almond butter, substitute it for peanut butter. Want more of a “crunch”? 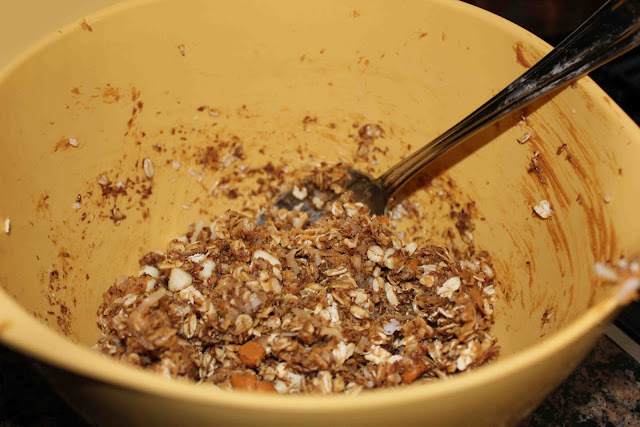 Add pecans, almonds, or walnuts. Let me know your thoughts. Enjoy! This recipe is so easy, so I only have a few pictures! Combine all ingredients in a medium bowl until thoroughly incorporated. Refrigerate for 30 minutes. Roll into balls and eat! 1. Mix everything above in a medium bowl until thoroughly incorporated. Let chill in the refrigerator for half an hour. 2. Once chilled, roll into balls and enjoy! Store in an airtight container and keep refrigerated for up to 1 week. 2 Responses to "No-Bake Energy Bites"
any suggestions for something to replace the coconut with?? So sorry I didn’t see this comment until now. Coconut is so unique, so its hard to find a similar substitute. I think almonds would be a good addition or perhaps some type of dried fruit. Let me know how they turn out!